If you are the sort or person who has to wear a tie to work, then you might want to check out the iTie. The iTie has a built in pocket at the back that lets you store your iPod or anything you want, unfortunately your iPhone won’t fit in there, but don’t worry the manufacturer will be releasing a version that will fit your iPhone shortly. 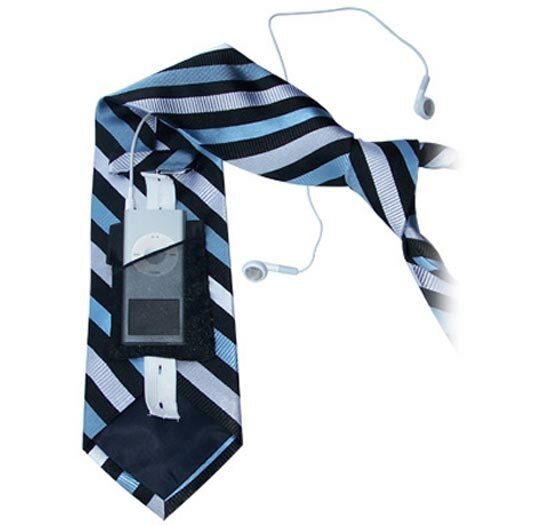 If you want to carry your iPod around in your tie, the iTie is available for $50 from The iTie.